This weekend marks Formula One’s 1000th Grand Prix, which is simultaneously also not actually its 1000th Grand Prix because F1 is confusing. 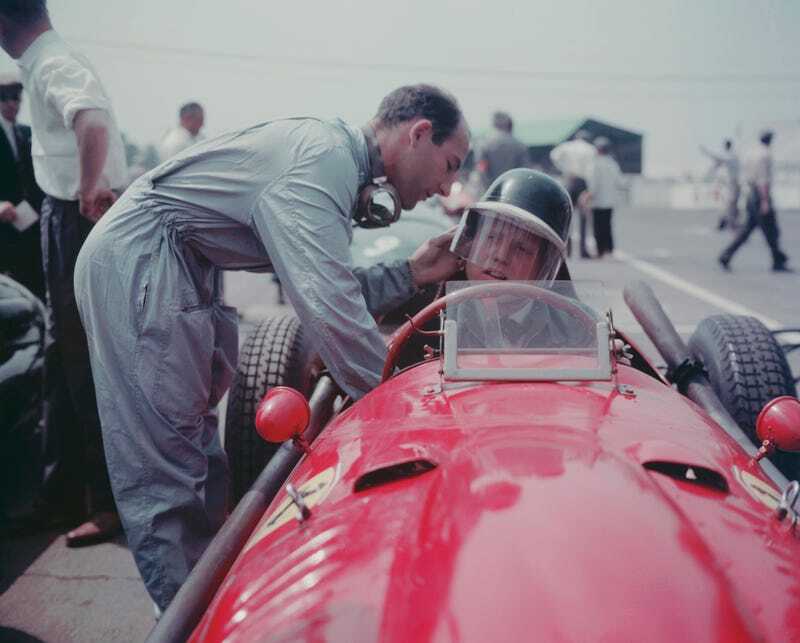 Here’s Stirling Moss, the winner of F1's 100th (or, maybe not actually 100th) Grand Prix alongside fellow driver Mike Hawthorne. Gotta love the good ol' days.